All these maxims push us to think deliberately, to make time and effort in every decision, and not to trust our intuition. However, in our life, we are all exposed to some difficult situations and to dangers, but we fortunately survive thanks to the quick decisions we make. The part of the brain responsible for this kind of decisions is called the adaptive unconscious. A kind of giant computer that quickly processes a lot of the data we need in order to keep functioning as human beings. A decision-making apparatus that’s capable of making Very quick judgments based on little information. Although this unconscious is very powerful, it’s sometimes fallible. In this book, the author mentions experiments and tells stories to show when we have to trust our instincts and when we have to be wary of them. Bill : Did you smell her today? Sue : I smelled her. She smelled good. I petted her, and my hands didn’t stink or feel oily. Your hands have never smelled oily. Sue: I’ve never let my dog get oily. Bill: Yes, sir. She’s a dog. Sue: My dog has never gotten oily. You’ better be careful. Bill: No, you’d better be careful. Sue: No, you’d better be careful… Don’t call my dog oily, boy. Do you think that this daily conversation can tell us something about the relationship of this couple? And whether they are happy or not? At first glance, it seems impossible, because in a marriage, many issues are involved, such us Family, Money, Love, Children, etc. However, John Gottman based on a one-hour conversation between a husband and a wife, can predict with 95% accuracy whether that couple will still be married 15 years later! Who is Gottman and how can he do that? Let’s see. John Gottman is a psychologist in the University of Washington. He bring husbands and wives in his lab that he calls the Love Lab, he lets them talk about a general topic (like pets for example), and he videotapes them. The results are then analyzed according to something Gottman dubbed SPAFF (for SPecific AFFect), which is a coding system that relates a code to every conceivable emotion that a married couple might express during a conversation. The notation “14, 14, 7, 7, 13, 13” means that in a conversation of seven seconds, one member of the couple was first neutral, then he gets angry and ends up being stonewalling. All marriages have a distinctive pattern, a kind of marital DNA, that surfaces in any kind of meaningful interaction. To understand this pattern, Gladwell uses the analogy with what we call Fist in the world of Morse Code. Thin-slicing is the ability of our unconscious to find patterns in situations and behavior based on very narrow slices of experience. In each line bellow, try to make a grammatical four-word sentence as quickly as possible. If you think that this exercise was a simple language test, then you’re wrong. Actually, this exercise can affect unconsciously your behavior. Take a look at the sentences again and you’ll find certain words like “Worried”, “silently”, “old”, “lonely”, “gray”, “forgetful” and “wrinkle”. This exercise is then making your brain think about the state of being old! A psychologist called John Bargh invited two groups of undergraduates to take the same test above. The first group was primed with polite words (respect, patiently, polite, courteous), and the second with rude words (aggressively, bother, disturb, intrude). After the test, each student has to go to the experimenter office in order to receive other instructions. As a part of the test, Bargh made sure that when the students get to the office, the experimenter is having a conversation with a confederate. The students primed with rude words interrupted the conversation between the two men in a less than 5 minutes. Most of the students primed with polite words just stood there and they never reacted, even after 10 minutes. Much of the time, we are simply operating on automatic pilot, and the way we think and act on the spur of the moment are more susceptible to outside influences than we realize. Another test mentioned by the author is what we call the IAT (Implicit Association Test). It’s a measure within social psychology designed to detect the strength of a person's automatic association between mental representations of objects (concepts) in memory. Put a check mark to either the right or the left of each word, in the category to which it belongs. If you found this exercise harder, it means that it’s easy for your brain to make a link between the woman and family than between the woman and career. The giant computer that is our unconscious silently picks up all the data it can from outside (experiences, people, books, movies, etc). That’s what comes out in the IAT. Our unconscious attitudes and our behaviors may be utterly incompatible with our stated conscious values. The author argues that in some cases, people are good in solving problems in a flash of insight than in explaining how they do to solve them; the same think can be applied with decisions. People are good in recognizing faces, but they are less good in describing them. A man and his son are in a serious car accident. The father is killed, and the son is rushed to the emergency room. Upon arrival, the attending doctor looks at the child and gasps, ‘this child is my son”. Who’s the doctor? A giant inverted steel pyramid is perfectly balanced on its point. Any movement of the pyramid will cause it to topple over. Underneath the pyramid is a $100 bill. How do you remove the bill without disturbing the pyramid? NB : The solutions are at the end of the article. According to Gladwell, Improvisation comedy (Improv) is a good example of the kind of thinking that Blink is about. Indeed, the Improv is a form of theater when the actors get up onstage without any idea of what character they would be playing, and then they take a random suggestion from the audience and start improvising the dialogue and the story at the moment of playing. One day, a house was set on fire. The firemen rushed to the house and started dousing the flames with water in the kitchen, then moved to the living the room. But to their surprise, the fire didn’t stop. And in a glance, the fire department commander felt that something was wrong, something that he could not explain with words, so he ordered everybody to go out. After they went out, the house exploded, and they discovered later that the fire was under their feet in the basement. If the fireman had taken all his time to understand what he was feeling, all the team would have being dead. This story shows that our unconscious reactions come out of a locked room, and we can’t look inside that room. But only with experience, we become expert at using our behavior in a good and efficient manner. Silvan Tomkins is a teacher of psychology who easily knows a lot about people only by looking at their faces. His student, Paul Ekman, tried to understand how his teacher does that, so he started a research which consists of identifying all the movements that a face could make. Every combination of these movements called an Action Unit (AU) was associated with a number, and each number was related to a specific emotion. For Example: Happiness = AU 6 and AU 12, Disgust = AU 9. By the end of his research, Ekman could understand what people have in mind only by looking at them, just like his teacher. For information, this research was used by the computer animators of Pixar (Toy story) and DreamWorks (Shrek). The book contains more other ideas, but I just mentioned the ones I judged most important. Puzzle 2 : To tear the bill or tu burn it. Malcolm Gladwell has been a staff writer for The New Yorker since 1996, and is the author of five New York Times bestsellers - The Tipping Point, Blink, Outliers, What the Dog Saw, and David and Goliath. Gladwell was born in Fareham, Hampshire, England. His mother is Joyce Gladwell, a Jamaican-born psychotherapist. His father, Graham Gladwell, is a mathematics professor from Kent, England. Gladwell has said that his mother is his role model as a writer. When he was six, his family moved to Elmira, Ontario, Canada. Gladwell's father noted that Malcolm was an unusually single-minded and ambitious boy. When Malcolm was 11, his father, who was a professor of mathematics and engineering at the University of Waterloo, allowed him to wander around the offices at his university, which stoked the boy's interest in reading and libraries. During his high school years, Gladwell was an outstanding middle-distance runner and won the 1,500 meter title at the 1978 Ontario High School 14-year-old championships in Kingston, Ontario. In the spring of 1982, Gladwell interned with the National Journalism Center in Washington, D.C. He graduated with a degree in history from the University of Toronto in 1984. Gladwell's grades were not good enough for graduate school, so he decided to go into advertising. After being rejected by every advertising agency he applied to, he accepted a journalism position at The American Spectator and moved to Indiana. He subsequently wrote for Insight on the News, a conservative magazine owned by the Rev. Sun Myung Moon's Unification Church. In 1987, Gladwell began covering business and science for The Washington Post, where he worked until 1996. 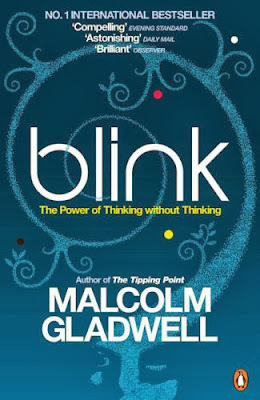 Gladwell started at The New Yorker in 1996 and gained popularity with two articles, both written in 1996: "The Tipping Point" and "The Coolhunt". These two pieces would become the basis for Gladwell's first book, The Tipping Point, for which he received a $1 million advance. 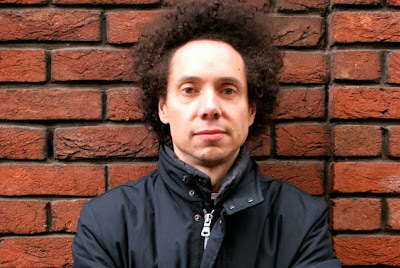 Now Gladwell continues to write for The New Yorker and he also serves as a contributing editor for Grantland, a sports journalism website founded by ESPN's Bill Simmons. "I have two parallel things I'm interested in. One is, I'm interested in collecting interesting stories, and the other is I'm interested in collecting interesting research. What I'm looking for is cases where they overlap". In this book, Malcolm Gladwell looks at why major changes in our society so often happen suddenly and unexpectedly. Ideas, behavior, messages, and products, he argues, often spread like outbreaks of infectious disease. Just as a single sick person can start an epidemic of the flu, so too can a few fare-beaters and graffiti artists fuel a subway crime wave, or a satisfied customer fill the empty tables of a new restaurant. These are social epidemics, and the moment when they take off, when they reach their critical mass, is the Tipping Point. Blink is a book about how we think without thinking, about choices that seem to be made in an instant--in the blink of an eye--that actually aren't as simple as they seem. Why are some people brilliant decision makers, while others are consistently inept? Why do some people follow their instincts and win, while others end up stumbling into error? How do our brains really work-in the office, in the classroom, in the kitchen, and in the bedroom? And why are the best decisions often those that are impossible to explain to others? What the Dog Saw bundles together Gladwell's favorite articles from The New Yorker since he joined the magazine as a staff writer in 1996. The stories share a common theme, namely that Gladwell tries to show us the world through the eyes of others, even if that other happens to be a dog. Gladwell looks at the complex and surprising ways in which the weak can defeat the strong, how the small can match up against the giant, and how our goals (often cultural determined) can make a huge difference in our ultimate sense of success. 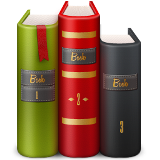 Drawing upon examples from the world of business, sports, culture, cutting-edge psychology and an array of unforgettable characters around the world. Named as one of the best books of the decade by Amazon.com customers, The A.V. Club, The Guardian, and The Times. Barnes and Nobles's fifth bestselling nonfiction book of the decade. In the top 50 of Amazon customers' favorite books of the decade. Named to the San Francisco Chronicle's list of the 50 best nonfiction books of 2008. 2005 : Time named Gladwell one of its 100 most influential people. 2007 : American Sociological Association's first Award for Excellence in the Reporting of Social Issues. 2007 : Honorary degree from University of Waterloo.